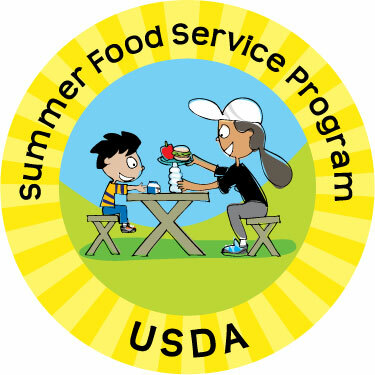 FFVP is a USDA funded snack program which provides an additional serving of fresh produce to elementary and K-8 students above and beyond school breakfast and school lunch. 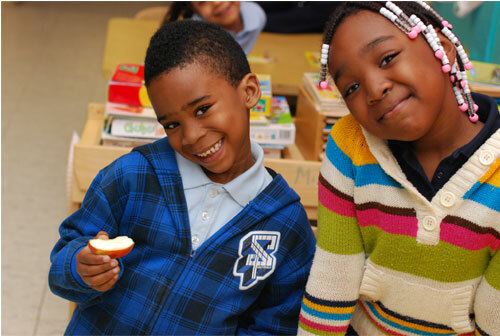 For the 2011-2012 school years, BPS was awarded funding for 27 fortunate schools and will serve more than 12,000 students! 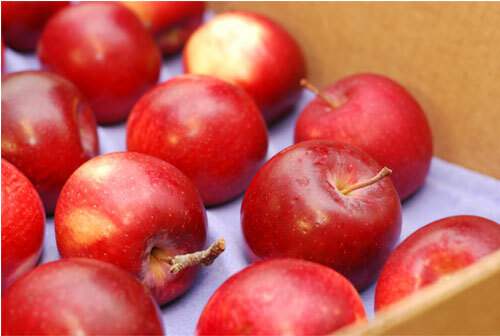 On the menu for our first official week are Massachusetts grown gala apples, Massachusetts grown Asian pears, white nectarines, and fresh pineapple cups. FFVP aims to both increase the consumption of fresh produce among children as well as expose children to a wide variety of fruits and vegetables they may otherwise not have the opportunity to try. 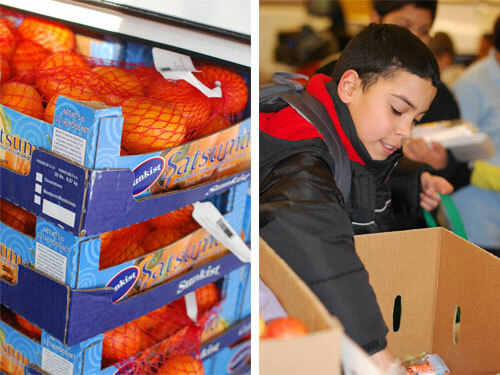 Last year, students were able to try persimmons, fresh berries, clementines, cara cara oranges, and much more. Likewise this year, FFVP will provide students with a wide variety of fresh snacks. The Fresh Fruit and Vegetable Program has greatly expanded across the country and here in Boston, thanks to increased funding from the USDA. In 2008 and 2009, the first years of FFVP, Boston Public Schools was awarded funding for only 4 schools – the Condon, the Dever, the McKay, and the Sarah Greenwood. Last year, we received funding for 16 schools, and this year, we are thrilled to be working with 27 schools across the city. In terms of menu items, a greater variety of cut vegetables will be available as part of the program this year. We are looking forward to adding cauliflower, broccoli, cucumber, and celery to the snack rotation. According to the Center for Disease Control and Prevention (CDC), obesity rates in the United States have doubled among children and tripled among adolescents over the last 20 years. Today, almost 13 million children and teens are considered obese, and fewer than 20 percent of the nation’s children over the age of 2 eat the 5 recommended daily servings of fruits and vegetables. It has been estimated that 1 in 3 children born in 2000 will develop diabetes in their lifetime. For low-income families, providing nutritious meals which contain a high number of fresh fruits and vegetables on a regular basis can be hugely challenging. The World Health Organization (WHO), along with several smaller institutions, has shown that poverty is associated with an increased risk of developing diet related illnesses like diabetes, asthma, and cardiovascular disease. A 2010 study by the Kaiser Family Foundation found that inMassachusetts, childhood obesity rates are highest among low-income, African-American, Hispanic and Mexican-Americans, with socioeconomic status as the greatest indicator. FFVP seeks to change these statistics by providing regular access to fresh produce in low-income schools across the state and country. To apply for the program, more than 50 percent of a school’s student population must qualify for free or reduced priced school lunch. Awards are made annually by the Massachusetts Department of Elementary and Secondary Education with preference to schools with the greatest need. 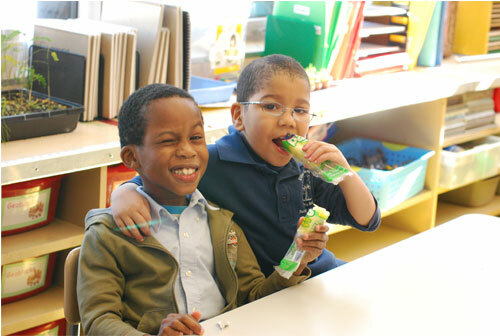 In Boston, our schools far exceed this requirement; in many, 70, 80, or even 90 percent of students’ families meet the income eligibility for free and/or reduced priced school lunch. For more information about FFVP, please visit the USDA website . Some of the biggest changes in this graphic mirror changes in the 2010 Dietary Guidelines for Americans. These include the first official advice to “eat less” in the face of increasing overweight and obesity issues caused by consumption of excess and empty calories. The advice to “make half of your plate fruits and vegetables” shows a new emphasis on these two groups and “make at least half your grains whole grains” encourages a reduction in refined and white grains. Dairy has also been shifted from the main plate, becoming more of an ancillary group, perhaps a response from many who argue that although a great source of calcium, many populations cannot process dairy products and can find calcium in alternative sources such as green vegetables. Some, such as Marion Nestle, criticize the new design for the naming of the “protein” category, pointing out that “protein” is a nutrient, not a category of food, and that many foods in the vegetable, grain, and dairy categories also qualify as excellent sources of protein. All-in-all, most agree that the new guide is much simpler and more concise and will prove a useful tool in encouraging more healthful eating. 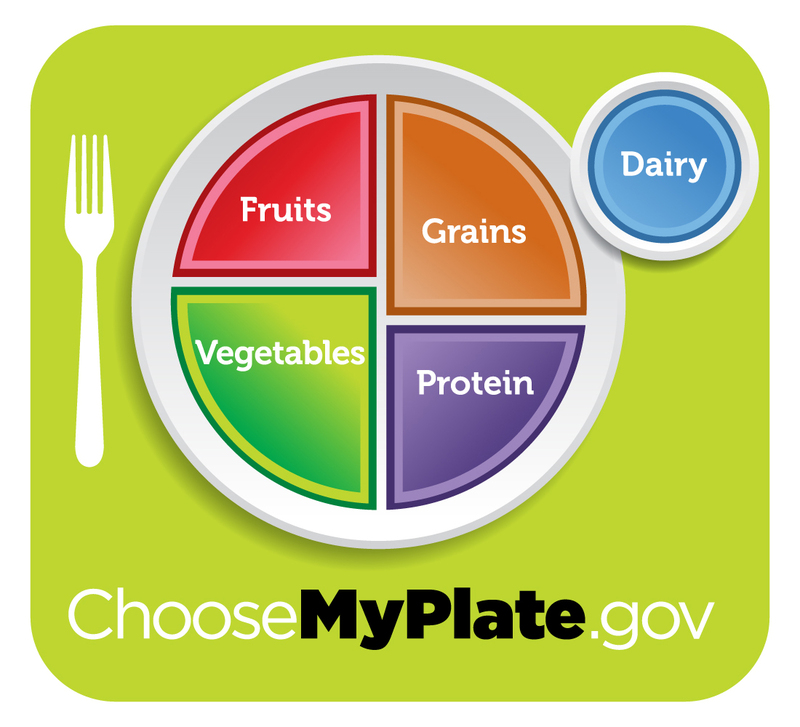 The USDA 2010 Dietary Guidelines for Americans were released on January 31, 2011. The USDA revisits its dietary guidelines every five years and adjusts them based on the latest consensus of science and nutrition. 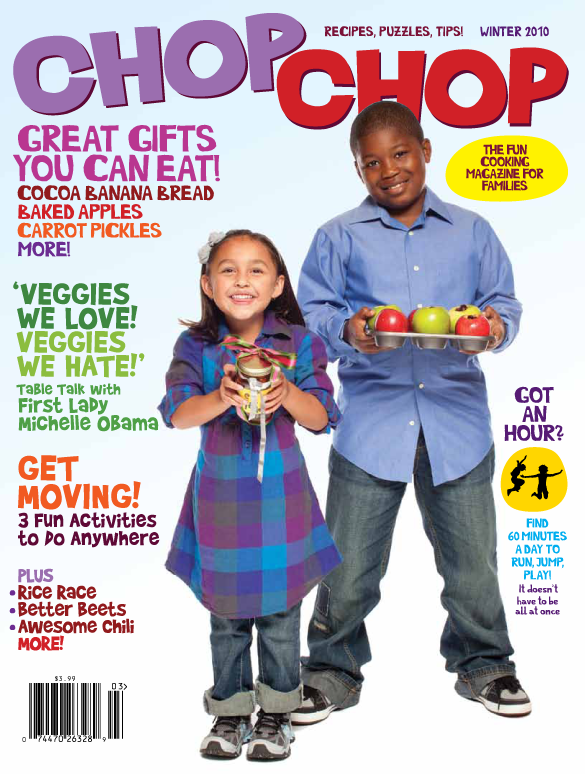 This edition has many notable changes from the 2005 Guidelines and will ultimately have a large impact on school lunches across the country. We will devote a series of posts to dissecting the new edition and what the changes mean for you.